This adorable little mouse is just the perfect size for kitty to hug and rub on. Made with extra strong organic catnip and cotton. This is a great interactive toy and comes with an extra long tail to either tie to a stick or to dangle in front of kitty while keeping your hands out of harm's way. These mice are large enough not to easily fit under things such as refrigerators, where they could be lost. The original Nori's Mouse was made on a whim for my husband's giant orange tabby Nori. They are original designs and each has its own "personality." The original Nori's Mouse was played with for over 4 years.. 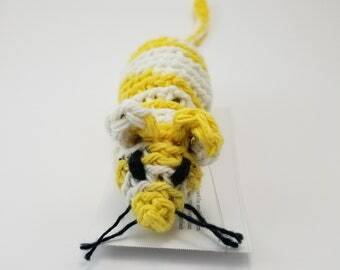 Please note: All Threads By Jill Cat Toys are unique individual creations. Your Nori Mouse will be a one of a kind creation and the pictures you see here are for you to see what colors are available. This listing is for one mouse. Pink Cammo Nori's Mouse Cat Toy. 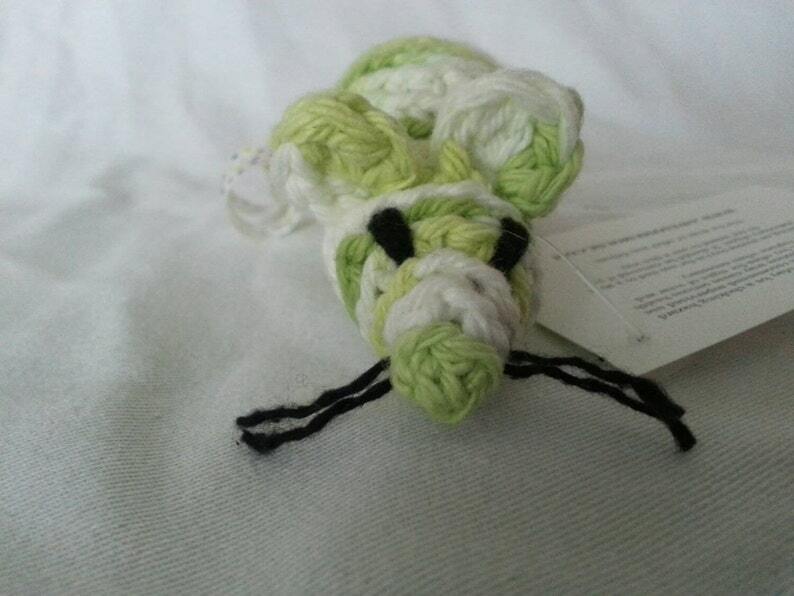 Handmade Crochet cotton with Organic Catnip! Our cats go absolutely nuts over these! This is actually our second purchase. Our boy cat is notorious for breaking toys as soon as he gets them. But these can withstand his catnip induced wrath!! Awesome product!!! My cat, Moses, is absolutely OBSESSED with this toy. Thank you! We accept Paypal, all credit cards, checks and money orders. Payment is due within two days of purchase for all Paypal and credit cards. Checks and money orders must be received within 14 days. I will accept returns on defective merchandise. Please contact me first. Our goal is to keep you happy. Items ship usually within two business days from when payment is received. Insurance or registered mail is available for an extra charge. I am willing to ship internationally if you message me I will contact you with the cost of shipping. On all international orders the buyer is responsible for any extra fees ie: customs or taxes associated with this order. If you don't see what you are looking for please ask. Custom colors and/or designs are available.